Mumbai: India’s bellwether stock index, the Sensex, extended a relief rally to a second day on Tuesday as investors cheered policy actions to ease a credit crunch and celebrated the biggest single-day points gain for the US benchmark, but questions linger over how long the respite would last. After most of the morning’s gains melted, the Sensex still closed up 174 points, or 1.5%, at 11,483.40 points, extending Monday’s 7.4% gain. The index rose about 5% in morning trade after the Reserve Bank of India, or RBI, announced the opening of a special liquidity window for mutual funds to help them deal with redemptions. 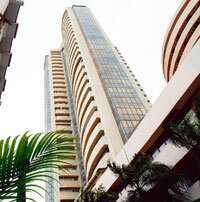 The broader 50-stock Nifty of the National Stock Exchange ended Tuesday at 3,518.65 , up 0.8%. While RBI offered commercial banks 14-day money at 9% to lend to mutual funds, market regulator Securities and Exchange Board of India, or Sebi, allowed a few funds hit by huge redemptions to borrow more money than the limit and tap their foreign institutional investor arms. RBI governor D. Subbarao was meeting Prime Minister Manmohan Singh in New Delhi late on Tuesday, but no details on the meeting were immediately available. “We have reviewed the situation and it is under control," Subbarao said after meeting finance minister P. Chidambaram earlier. “We have done everything that has to be done," he said. “Everything is under control. I am going to meet the Prime Minister to seek his advice." Global analysts and equity fund managers remain divided whether the stock market rally —which saw the Sensex gain 7.4% on Monday—can be sustained. Many say this could be a so-called sucker rally or a bull trap, Wall Street jargon for a short-lived rally that attracts investors. And others say markets have reached their “capitulation bottom" after the intense selling spree across the world since mid-September to 10 October. According to Mandy Chan, a senior portfolio manager at Fortis Investments, who looks after equity funds in mainland China and Hong Kong, the market has not scraped the bottom yet. “The last leg of this crisis (from the equities perspective) will be based on earnings downgrade," Chan said in a phone interview from Hong Kong. Equity markets will remain volatile this year, so a buy-and-hold strategy may not work well for investors, Chan said. A fund executive in Singapore, who did not wish to be identified, said it is likelythat “with every rise, foreign investors could book profit and take their money out of Asian equities". According to him, Western investors will start refocusing on their home markets and there could be a shift in the way fundamental valuations of equity—now largely based on price to earnings, or P-E, multiples—are assessed. “There is no rule that P-E multiples should be at least in their teens," he said. Across Asia, all key markets, with the exception of China and India, saw strong gains on Tuesday. The Shanghai Composite index was down 2.7%. Japanese markets, which remained shut when world markets roared on Monday, caught up and the Nikkei posted its biggest ever single-day gain, about 14%. Korea’s Kospi gained more than 6%, while the Taiwanese index rose more than 5%. In Hong Kong and Australia, markets gained more than 3%. The Dow Jones Industrial Average, which was up more than 400 points after the opening bell, was down 47 points, or 0.5%, at 9,340.73 at 8.45pm Indian time. On Monday, the index rose a record 936.42 points, or 11.08%, to 9,387.61. The rupee rose 0.4% to 48.08 per dollar after European governments committed $1.8 trillion (Rs85.86 trillion) to guarantee bank loans and buy stakes in lenders. The Bush administration will invest about $125 billion in nine of the biggest US banks, according to people briefed on the plan. Ten-year government bonds declined the most in almost three weeks on speculation that policymakers will cut the amount of debt banks are required to hold to free up cash. Yield on the benchmark 8.24% note due April 2018 climbed 15 basis points to 7.94%. A basis point is one-hundredth of a percentage point.